Secret Santa Safari: A Guide to Getting the Perfect Gift for Animal Lovers. Does someone you care about, or just someone you’ve been stuck with for Secret Santa, love animals? Are you struggling for a gift idea? If so, this is the blog to read. 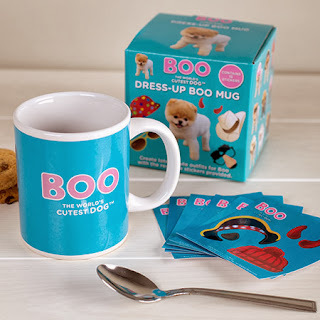 I’ve travelled all over the world wide web, shopped and browsed with Safari to bring you the best stocking fillers and Secret Santa gifts for animal lovers this Christmas. Everyone knows the world’s cutest Pomeranian Boo, right? Small, soft, furry, sickeningly sweet when he sticks out his tongue. I could stare at him for hours. Well with this mug your animal loving friend can, and not only that, they can also dress that cutie pie up! Every day is a new one, no one coffee break will be the same. Ever wanted to try putting a Lemur in the microwave? Well now you can and without the usual mess! Lemee is in fact a cuddly toy Lemur filled with specially treated millet seeds and dried lavender. Once you’ve given him two minutes in the microwave, he’ll re-emerge all cuddly and warm, sending you to sleep with his lovely smell. 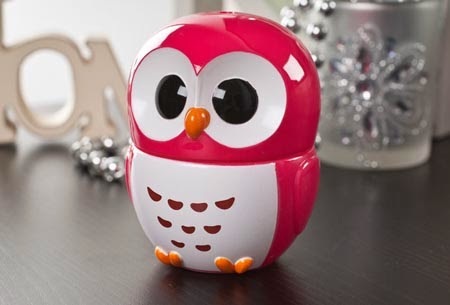 Not mad with real owls, The Owl Hand Cream comes in a cute and quirky owl shaped container. The cream is fragranced with wild rose and will make a hard working animal obsessive’s hands lovely and soft. Once you’ve finished with the cream, the container can then be used afterwards to store titbits like jewellery. 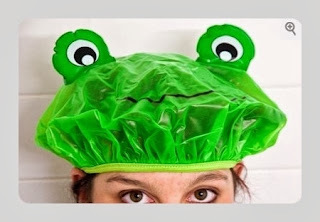 The Frog Shower Cap will make fans of amphibians frog leap for joy. I never thought it possible to keep your hair dry whilst having a frog on your head but now it’s a reality. Shower time can now be a silly and fun experience. These first five gifts are all available here. The Cat DJ Scratching Desk is probably the best present I’ve seen. If you have a cat you want it. If you don’t, you want a cat just so you can enjoy the brilliant and hilarious image of a cat pretending to DJ. Cat lovers with their Facebook pictures and mugs with their kittens on will be made up to get this. I think all animal lovers would implore you to buy them this. 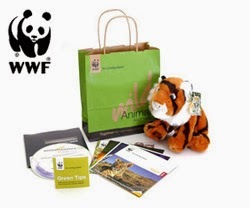 It’s as little as £26 for a year’s adoption from WWF and you can choose the animal you want to adopt. They’ll send your pal a kit with a cuddly toy and subscribe them to a magazine three times in a year. You’ll be getting them a great present and doing something important for endangered animal species, your animal adoring friend will love you.